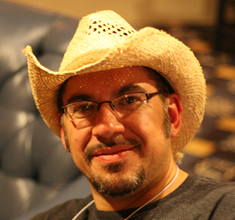 When GoDaddy hired Christopher Carfi at the start of 2014, it caught my attention. GoDaddy was a company that, at one time, I thought I would never want to be a customer of. I didn’t like the brand, didn’t like marketing, didn’t like upselling, didn’t like the old CEO. But after Blake Irving was hired as CEO, I noticed positive change. That was nice, but they still didn’t have my business. When they hired Christopher, it caught my eye because here was an experienced community mind that I respected joining a company I once didn’t. “If the only metric that you’re looking at is first month sales from traffic that came in from Google via SEO and search, the results are just not going to be there, because it doesn’t work that quickly. If you look at the arc of the amount of time it takes, it’s three months, six months, nine months, in some cases, before a piece of content really starts to catch on. And I think community is the same sort of thing. Christopher Carfi heads up global content marketing for GoDaddy. Over his career, he spent nearly ten years as part of the advanced technology group at Andersen Consulting/Accenture; has headed up product, marketing, and product marketing groups, at a number of early stage companies; has been a startup founder; and was part of the early team at Ant’s Eye View, which was acquired by PriceWaterhouseCoopers. He joined GoDaddy in 2014. He holds a degree in computer science from Northwestern University and an MBA from Carnegie Mellon, is originally from Chicago and currently lives in Silicon Valley with his family. You can follow him on Twitter at @ccarfi. 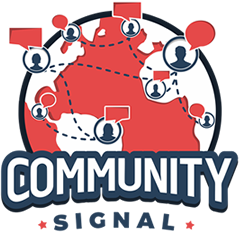 00:03: You’re listening to Community Signal, the podcast for online community professionals. Sponsored by Higher Logic, the community platform for community managers. Tweet as you listen using #CommunitySignal. Here’s your host, Patrick O’Keefe. 00:24 Patrick O’Keefe: Hello, and welcome to Community Signal. On this episode, we’re talking with Christopher Carfi about GoDaddy’s cultural shift; how community fits into content marketing; and what community looks like with Alexa, Google Assistant, and AI. Before we get into that, I wanted to talk a little bit about the future of the show. This is episode number 74, and we’ve been at it for about 18 months now. I’m really proud of the show and grateful for the support we’ve had from listeners. When I was figuring out what Community Signal would be, I didn’t want to just have a podcast with good content; I also wanted it to sound great and I wanted it to have integrity. To have integrity, the show must have independence. Last week’s episode with Maggie McGary was a great example of that. We were critical, though fair, of people with money and influence in this space. But that independence comes at a cost. I’ve turned down several thousand dollars in sponsorship money from potential sponsors who wanted to change the show. 01:19 Patrick O’Keefe: They wanted to have input on future content and future guests. They wanted to put themselves on the show. They wanted to block competitors from appearing on it. I’m not doing that. Thankfully, we have had some sponsors who supported our mission, like the sponsor of this episode, Higher Logic, and I’m grateful for that. But this show costs money to produce – more than $6,000 per year running on a lean budget, paying my producer, Karn, our transcription service, and other essential services. Not only would I like to pay these people better, I’d like to do more with the show, and perhaps most importantly, I want this show to continue long into the future and be sustainable for me to host. With that in mind, we have just launched a Patreon campaign for this podcast—patreon.com/communitysignal— and you can find a link on communitysignal.com. Patreon allows you to support the show on an ongoing basis and, since this is not a charity, receive some cool benefits for doing so, like being mentioned on the show; getting extra content and bonus clips; receiving advanced knowledge of upcoming guests; being able to submit question ideas for those guests; and even receiving the show early. 02:20 Patrick O’Keefe: If you are able to support the show, we would be so grateful, and if you have any feedback or ideas for additional benefits that I could offer, Patreon supporters, please don’t hesitate to contact me. Again, that’s patreon.com/communitysignal. And with that, let’s get into the show, as I’m really excited to talk to Chris. Christopher heads up global content marketing for GoDaddy. 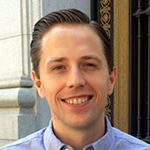 Over his career, he’s spent nearly ten years as part of the advantaged technology group at Andersen Consulting and Accenture; has headed up product, marketing and product marketing groups at a number of early-stage companies; has been a startup founder; and was part of the early team at Ant’s Eye View, which was acquired by PricewaterhouseCoopers. He joined GoDaddy in 2014. He holds a degree in computer science from Northwestern University and an MBA from Carnegie Mellon, is originally from Chicago, and currently lives in Silicon Valley with his family. You can follow him on Twitter at @ccarfi. Chris, welcome to the show. 03:10 Christopher Carfi: Thanks, Patrick. Thank you for having me. 03:12 Patrick O’Keefe: It’s such a pleasure to have you. I went back and looked, and we were actually introduced by Lee LeFever of Common Craft, a previous guest of the show, in 2008 regarding my book, and that was back when Common Craft was a community consultancy, and now it’s not. 03:26 Christopher Carfi: Indeed, indeed. It’s funny you should mention that. I literally just got an email from Lee and Sachi. They’re working on some really interesting explainer video services now, which is a bit of a switch from that. 03:37 Patrick O’Keefe: It is, but, you know, he did great at the community. He’s doing great at the explainer stuff, too. And I just emailed him because I said, “Hey, is there anything I should ask Chris? Because you introduced us.” And he was like, “Aw, man, it’s been so long ago.” So, it’s funny you got an email from him, too. 03:47 Patrick O’Keefe: So, your bio talks about a lot of things, and you’re obviously director of content marketing at GoDaddy, and that’s great and all, Chris—don’t get me wrong, [Laughs] you know, you’re an impressive guy—but in the context of this show, I want people to understand a little bit more about your community background, and that’s actually why you were hired at GoDaddy back in 2014 originally, in kind of a more community-facing role. But let’s say you’re in a room of community pros, which you are right now, and people are talking about what they’ve done. Looking back on your community work in your career, what are the things that you hang your hat on? 04:16 Christopher Carfi: It is a number of those – having the opportunity to work with a number of great brands to work on their community strategy, folks like Aruba Networks and H&R Block and others, and really trying to think through what are the things that are important to community members in making their community a vibrant place, a valuable place for them, and then, similarly, trying to figure out how does that connect up to the goals of the organization or the enterprise as well. So, I think the main part is really: What are the things that matter to the individuals in the community? What is getting them there? Why are they hanging out? Why are they coming back? Why are they engaging with other folks? And really trying to think through that from a strategic point of view is one of the things that I keep coming back to. What are the different ways we can provide things and set up community spaces that are valuable, whether it is as part of a brand or as part of a third-party space where community members are engaging with each other. 05:23 Patrick O’Keefe: Most of your career was spent on the agency side more than the brand side. Now you’re on the brand side. I don’t know. Is there something about that that you like better than the agency side? Is there a reason you decided to join GoDaddy specifically? You came from Swipp, looking at your background, and that was obviously brand side, but most of your career is agency side. Is there something about the brand side that you’re finding much more interesting or engaging? 05:44 Christopher Carfi: There are things to be said strongly for both points of view. On the agency or service provider side, there is the opportunity to work with lots of different organizations and have lots of different types of experiences, which is fantastic. On the brand side, there are a lot of those same types of points of view, which is great if we think about, really, our customers as the people that we are serving. There is that same type of diversity in looking at different industries, different geographies, different points of view, so it’s interesting being on the brand side and having that consistency of the organization, but still that dynamic aspect of getting the chance to work with lots of different types of customers, lots of different geographies. Lots of different parts of the organization are all in there as well. So, I don’t think I could really choose one over the other or one being better than the other. You know, they’re different in some ways, but the core opportunity to do interesting things, work on interesting problems, have the chance to with lots of interesting people and interesting customers is the same in both cases. 06:55 Patrick O’Keefe: I’m looking at different opportunities right now and I’ve talked to agencies, I’ve talked to brands, and I kind of lean brand because I feel like I’m less likely to want to help someone and then let it go away and not know what happens with it in a lot of cases. Maybe that’s crazy. Maybe I shouldn’t get so invested in a brand if I join a brand side thing, but it’s like… I wrote a playbook for FedEx years ago, and I really don’t know what happened with it. I don’t know. Was it successful? Did they use it as much as I hoped they would? I don’t know. But I feel like on the brand side I have more of a stake, but is that crazy? 07:26 Christopher Carfi: No. I mean, I think being able to see where things go from that, that investment of time and energy and sweat and tears, is absolutely important, and being able to tie the goals of the project back to some sort of outcomes. Sometimes you can get a peek into that in either of those cases. But if the work on the agency side, for example, is for a project where you don’t have that visibility or transparency into the outcomes, I can completely understand how that would be a thing that kind of gnaws at you a little bit. 08:08 Patrick O’Keefe: Five years ago, I would have never thought I’d be a GoDaddy customer. I didn’t like the brand, didn’t like the marketing, didn’t like the upselling, didn’t like the CEO. When Blake Irving came on board as CEO, I noticed some positive change happening, and that was nice, but I still wasn’t a customer. You joined in February of 2014 and it really caught my attention because here’s GoDaddy hiring a community mind that I respect. That’s interesting, and I noticed continual positive change – saw you doing good work, talked to you, talked to Andy McIlwain, who we were fortunate enough to have on the show before. And all of this coupled with feeling neglected by my former registrar Enom and learning about the GoDaddy Discount Domain Club led to me becoming a GoDaddy customer, and I’m currently well over half of the way of transferring my 100-plus domain names over to GoDaddy. But it took four years, maybe, to earn my business and kind of erase that previous, I don’t know, perspective that I had, and I’d love to hear I guess your thoughts on that as far as the culture change and what attracted you specifically to GoDaddy and how community fits into it. 09:12 Christopher Carfi: Well, first off, great, great, great thanks for being a customer. [Laughs] We really appreciate it. 09:16 Patrick O’Keefe: [Laughs] My pleasure. 09:18 Christopher Carfi: Hopefully we can continue to serve you well going forward. 09:21 Patrick O’Keefe: Oh, and another thing I should say before you get into the answer, is GoDaddy’s kind of presence in WordPress. I have a good friend, Brad Williams, I’ve known for, gosh, 15 years—we met in an online community; he’s the CEO of WebDevStudios; also another guest on the show—and he was working on some stuff with GoDaddy or GoDaddy Pro, and I was like, huh, all these good people are over at GoDaddy. [Laughs] Anyway, sorry to interrupt. I want to hear the answer. 09:39 Christopher Carfi: [Laughs] No, no worries. Brad’s a standup guy as well and the work over at WebDevStudios is fantastic that they’ve been working on over the years. The thing that really attracted me was that the organization really was starting to go in an interesting direction, really starting to look at what are the things we need to do to make sure that customers are successful, making sure that we continue to tie into that base of our support infrastructure and customer service mindset that has been part of the org for a very long time. And when we really started looking at things like when Blake came on board and did a lot of work to really get the organization going where he thought we should go… It’s been really amazing to be a part of that. 10:34 Christopher Carfi: And it’s everything from a lot of the technical infrastructure things that we have been doing. It is the opportunity to serve a lot of different types of needs for folks who are starting their own ventures, so we have built out a lot of things, we’ve had programs like GoDaddy Pro for web designers and developers; things like SmartLine, which is the ability to get a phone service; things like GoCentral, which enables somebody to set up a website really easily. These are all really useful, interesting, solid services for individuals who are starting their own ventures. So, I thought that the product direction was solid. Really have always been impressed by the integrity that Blake brings to the role, and whether you are interacting with him in the hallway or in the cafeteria in the office, or see him on CNBC or a TV program. 11:30 Christopher Carfi: I was actually speaking with Blake, as well as Auguste Goldman and Steven Aldrich, our exec team, last week about what are the things that the organization can be and should be continuing to do with the area of gender diversity and inclusion and male allies. And these are all really, really solid people, and whether you’re interacting with them in a meeting or one-on-one or seeing what they’re doing out in the public sphere, always the same people, and it’s just been really refreshing to be in an organization that’s a large organization. You know, we’re a bigger company now with many thousands of employees, but also still have that hunger and that drive and that scrappiness of a startup. So, it’s a really interesting amalgam of a lot of the great things and the things that I really draw energy from, the things that make me excited to get up and head into the office every day. 12:31 Patrick O’Keefe: Yeah. So, it really is the culture change, and that’s the people driving that culture change. Because, you know, I know about your background and I know how important these issues are to you, whether that be various forms of equality, being allies, gender equality, whatever it is, and I just know that GoDaddy, whatever the previous iteration was, I have a feeling Chris Carfi wouldn’t have been there. 12:51 Patrick O’Keefe: I would like to take a moment to recognize our excellent sponsor, Higher Logic. Higher Logic is the community platform for community managers with over 25 million engaged users in more than 200,000 communities. Organizations worldwide use Higher Logic to bring like-minded people together by giving their community a home where they can meet, share ideas and stay connected. The platform’s granular permissions and powerful tools, including automated workflows and consolidated email digests, empower users to create their own interest-based communities, schedule and manage events, and participate in volunteer and mentoring programs. Tap into the power your community can generate for you. Higher Logic, all together. 13:26 Patrick O’Keefe: Now, speaking specifically to the work, community-wise, GoDaddy, did they have a community when they hired you? There’s a vibrant online community now. It’s very nice. But when you were kind of thinking about taking that job, thinking about what GoDaddy had and then what they were going to do, what was it that kind of spoke to you? 13:44 Christopher Carfi: That was really one of those interesting opportunities that I don’t think comes along very often in one’s career. So, you have this very successful, very well-known brand that hadn’t done a lot in the community space. And so, it really was an opportunity to start getting some of that thinking going a little more aggressively within the organization and start getting some of those conversations going internally with the rest of the exec team and folks from the product groups and the marketing groups and all of the different teams to get things going. And so, there was a lot of conversation around how do we start community-type effort, how do we start engaging with not just an on-site community, but with our off-site and extended community. So, things like the WordPress community. How do we get things like community evangelism going? How do we start engaging with communities via content? And so, at that time, there were a whole set of different opportunities that could be done. 14:46 Christopher Carfi: And so, part of the fun work out of the gate back starting in 2014 was figuring out, okay, what are the things we start with? How do we start going down that path? And knowing that, really, working with and engaging with communities and community members and customers and prospects and employees is an ongoing iterative, really, never-ending process, as opposed to a campaign. And so, starting to get some of those conversations and get that mindset a little bit more top of mind for the organization was a really interesting opportunity, and that was one of the things that drew me in, as well. 15:24 Patrick O’Keefe: I think of it, in a way, as what I call community fantasy baseball, or fantasy community. I think naturally, we have those brands that we look at and we say, “You know what? If they just gave me the keys to community and they supported me, I would love to see what I could do with that brand in community.” And it sounds like you kind of got the opportunity to do that at a well-established brand – in this case, GoDaddy. 15:45 Christopher Carfi: It was less, I think, a “Here are the keys, go run with it,” and it was more a “Okay. What are the opportunities? What types of things do we need to do to get consensus and get support and get some things going, and then seeing where those go… You know, another really amazing part of the culture is the desire and really strong ethos to, “Well, let’s go out, let’s try things, let’s make some initial steps, see what’s working, see what we can change, see what we can continue to drive forward and then evolve from there.” So, all of the different things we’re doing, whether it’s with WordPress community or various vertical industries or other types of communities that we’re starting to work with, those are all different things that we knew we could go try and tune and evolve over time. 16:39 Patrick O’Keefe: You mentioned engaging with communities through content, and kind of being the director of content marketing but also having a strong community background, what do you think the role of community is in content marketing, if any? 16:51 Christopher Carfi: So, I really think the places where we engage with our various communities and constituencies is really doing a lot of listening and sharing of those stories. So, if you go on our blog right now, a lot of the stories that are there have either come from customers who are part of our community, they have come from individuals who are resellers, or other professionals who use GoDaddy as part of the solutions that they are putting out there. They are recognized experts, and it is the opportunity to go out and really learn and engage with individuals in our community, and also enable them to connect up with each other. 17:41 Christopher Carfi: And so, really, instead of the “Here is our message and we’re going to blast it out on every channel possible,” being able to provide a platform for our community members to share their stories, whether they are on the blog, whether they are being shared through content, whether they are interacting in our online community that we have on-site, as well, whether they are interacting with each other in other spaces like WordCamps, for example. Those are all different facets of that kind of community engagement and where community and content intersect, and the interesting stories, the things that are really engaging for customers and prospects and really energizing for us are hearing all of those great stories and making sure that we can help to really be an amplifier of those stories so our customers can get their word out, as well, about all of the different things that they’re doing in their ventures. 18:40 Patrick O’Keefe: So, a lot of, I think what we might think of as maybe a little old-school community work of spotlighting, right? Using people as sources, telling their stories, giving them the platform that GoDaddy offers and saying, “Here, this is an idea. You can write an article about it.” And then we’ll promote that through the network, social media, whatever you might do, but it sort of goes back to that thought of sharing the stage, I guess, right? 19:00 Christopher Carfi: That’s exactly right. That’s exactly right. And really, frankly, those are the stories that are the most interesting and the most relevant, I think, to our customers and prospects, and the ones that really have the most opportunity for empathy, as well, because if one of our customers are sharing their stories, somebody else might say, “Hey, yeah, I had that same challenge,” or, “Yeah, I went through that exact same thing. I know exactly what’s going on there,” and having that opportunity to get that resonance around that story is really important. 19:33 Patrick O’Keefe: You told me that you’re thinking about how community fits as “more things are being infuse with AI and machine learning. What does community mean in a world where individuals are interacting with Alexa and Google Assistant.” What do you think it means? 19:48 Christopher Carfi: It’s really interesting, because there are more places where any of the truly transactional types of things can get moved over to those types of platforms and that type of automated interaction happens. But the things that are more complex, the things that are messier, the things that are more human and emotional, those are the things that I think are going to come out more through community types of interactions. If you’ve got things that are rote and repetitive and such, I think we’ll see a lot of those moving into being handled by the more automated types of platforms. But it is really the more interesting edge cases that you need that collective intelligence and insight and engagement of a community to help rally around and solve those types of problems. 20:46 Patrick O’Keefe: Yeah. I totally agree with that. It’s something we kind of talked about here on the show before—moderation’s the easy example, obviously—but of AI knocking out some of the easy things and leaving the rest to the humans and the things that require nuance. But I’m going to whisper Alexa, because she’s right behind me right now listening, but… [Laughs] Of course, we’re talking right now, and Apple just introduced their new, I guess, smart speaker. There’s other competitors out there. I love it, but I don’t know… I’m curious. The community application’s really interesting. I see it in, for example, the developers, you know, how people are using the devkit and producing things that work with the service. And then it’s funny – use groups build community around everything. So, I’m sure if I went out there and looked, there’s already a community of people who have Echo devices that are talking with one another, outside of Amazon’s reach or purview, and Amazon should love that and appreciate that. But yeah, I mean, it’s funny to think about the world where we start talking to everything and how that filters into community with other humans, not just with the machines that we put in our houses. 21:48 Christopher Carfi: Yeah. Yeah, and it’ll be interesting, you know, just to answer… you were talking through it there. It’ll be very interesting to see how communities evolve when the community members, if you will, are a combination of both humans like us, as well as bots. And so, you know, what does it mean in the example you just gave? It’s like, well, you know, if you have a number of folks over for a dinner party or the like, is the Alexa service there a member of that set of interactions, of that community? Will people be asking Alexa for things the same way they would one of the other guests at the party? So, there are a lot of really interesting things that we’re right on the cusp of needing to figure out, as culture and as a society, as all of these technologies evolve. 22:40 Patrick O’Keefe: Yeah. Main thing is, I’m open to it, I just want to know. I just want a disclosure. You know, like, it was, I think, x.ai. It’s like an email scheduling AI, and it’s like, it acts like a real person, though. And the first time I talked to it, I was kind of like, I don’t want to feel like I was… Betrayal isn’t the right word, but I felt weird because it was like I thought I was talking to a real person, and then I learned later that it was a bot, but it wasn’t clearly disclosed to me, and I thought, you know, that’s not the way I want to find out. I want to know, at least, until this is a normal thing, which we have a ways to go, I want to know that I’m talking to some form of AI. 23:18 Patrick O’Keefe: Before the show, I asked you what you consider to be some of your biggest community wins, and you talked about that a little at the start. But specifically, something you said caught my eye. You said that “Not only the opportunity to work with big brands, but also to continue to emphasize the importance of thinking of community members as the core of the community, as opposed to thinking solely about metrics, where the community members are only viewed as a means to an end. Metrics are important – so are people.” Those are your words. Now, outwardly, that can seem very hard to sell to big, big brands, that metrics are not everything. Is part of that that you have people at the brands who are believers? Or if not, how have you convinced the unconvinced? 23:53 Christopher Carfi: I think there are a number of different aspects to that. So, part of it is what are the metrics that you are putting in place. Is it just things that are around short-term types of metrics and revenue types of things? Or are you also looking at things like engagement? Are you looking at things like net promoter score? Are you looking at things like retention and churn reduction? All of these other things that are certainly measurable. 24:27 Christopher Carfi: And if one zooms out a little bit and starts to look at the whole set of things that could be measured, but also are sometimes more focused on a longer-term customer relationship, those are the types of things that, I think, as more organizations start to understand that you really need to have all of those as part of the scorecard, then the sell gets a lot easier, because it’s like, “Oh, okay, you know. Here is metric X that we’re looking at that is really around retention or engagement or NPS.” And if that wasn’t something that was part of the conversation, then bringing that in helps make that decision to move forward with community types of initiatives a lot easier. 25:15 Patrick O’Keefe: So, really, introducing metrics that are long-term-minded, I guess, is one way to look at that – things that are maybe slower to change or that show value over a longer period of time, as opposed to more short-term things. 25:27 Christopher Carfi: That’s right. And I think as an industry, we get more stories, more data points, more case studies of places where that has been successful, and will continue to get easier. I think a good analogy is the type of benefit one sees from things like SEO and organic search. If the only metric that you’re looking at is first month sales from traffic that came in from Google via SEO and via search, the results are just not going to be there, because it just doesn’t work that quickly. If you look at the arc of the amount of time it takes, it’s, you know, three months, six months, nine months, in some cases, before a piece of content really starts to catch on in SEO. And I think community is the same sort of thing. You know, if you’re planting a garden and you want a whole bunch of great things for Thanksgiving in the fall, well, you don’t plant them in October. 26:24 Christopher Carfi: You know, you plant them back in spring and nurture them and make sure you’re doing all of the right things to be able to get to that point. And I think more folks hopefully now are starting to understand the importance of that, that longer-term mindset. 26:38 Patrick O’Keefe: Yeah. I always used to love the questions, and thankfully, they seem to be less, but you know, it’s like, “How long should we give community? A month? Three months?” [Laughs] Like, well, I mean, if you don’t have… like, I would say 12, but if you don’t have at least six, like, don’t bother. Spend that money on social or something else. Like, send some tweets, do some PPC, something. Like, don’t spend money on community because you’re not in the right mindset yet. 27:26 Patrick O’Keefe: You’re a veteran of Burning Man. I’ve never been, and this is an exceedingly generic question, but is there anything that you take away from Burning Man as a community builder that others could learn from? 27:36 Christopher Carfi: Great question, and I think so. I mean, there are couple of aspects of that experience and some experiences that I’ve had that I think do get infused, and having a set of clear goals… So, you know, if you go on the Burning Man website, there’s a series of principles that are put forth there. And just having something to tie back to, having people who are really tied to the idea of participation, as opposed to being a spectator, is another aspect. And, like a community, any one of these types of situations, what you’ll get out of it is proportional to what you put into it. If you go there with the “Well, here we are now. Entertain us,” type of mindset, it’s going to be very different from going and trying to give. 28:33 Christopher Carfi: And, as a result, if you have a lot of people who are interacting who are all there, really trying to be of service and be interacting with others in the community, you get a very different type of set of interactions than something that is purely transactional. And so, I think there are a lot of parallels there. 29:00 Christopher Carfi: I would not paint it as something that we all need to do. It’s really up to the individual, and I know some folks who have been out there a dozen-plus times, like myself, other folks who go once and are like, “Yeah, that really wasn’t my thing,” other folks like, “No, you know, being in a harsh kind of physical environment just does not sound like fun.” It’s like, well, probably not going to have the kind of experience that you want. So, no, definitely would not paint everybody with the same brush. 29:28 Patrick O’Keefe: That’s a great community-builder answer, because smart community people know that no community is for everyone. Like, this has specific goals, specific things that would have worked for you four, but you know, people who say, “Yeah, community – everyone! Everyone’s welcome!” [Laughs] That’s never the case. 29:44 Christopher Carfi: Yeah. [Laughs] Exactly. Exactly. Yeah, everyone’s experience is different, and like any other kind of social situation, we’ll run into some folks who end up being absolutely lifelong friends who you can always call at two in the morning if you need anything, and it’s just those types of interactions and evolution of those relationships over time that make it really, really unique. 30:17 Patrick O’Keefe: Chris, thank you so much for coming on the show. 30:21 Christopher Carfi: Happy to be here. And again, thank you very much for the invitation, and looking forward to staying in touch. 30:25 Patrick O’Keefe: We have been talking with Christopher Carfi, director of content marketing at GoDaddy. To see Chris’s work in action, visit the GoDaddy Garage at godaddy.com/garage, and check out the GoDaddy community at godaddy.com/community. For the transcript from this episode, plus highlights and links that we mentioned, please visit communitysignal.com. Community Signal is produced by Karn Broad, and I’ll see you next week.